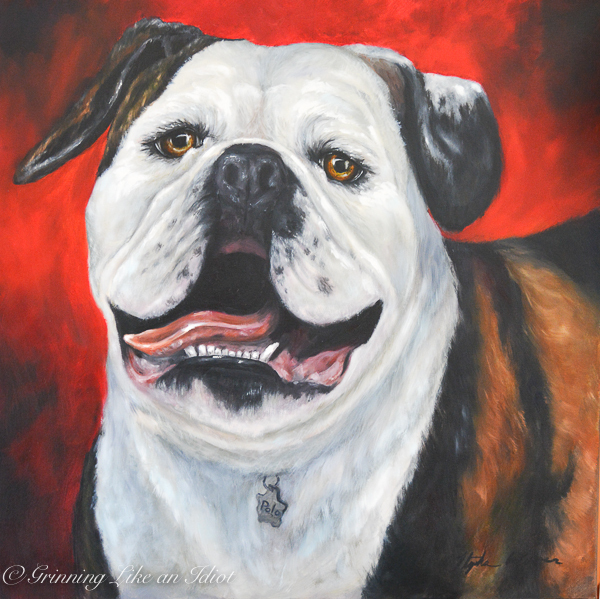 "Polo" Bulldog Pet Portrait 30 x 30"
"Polo" is An American Bulldog who's personality warranted a large canvas. 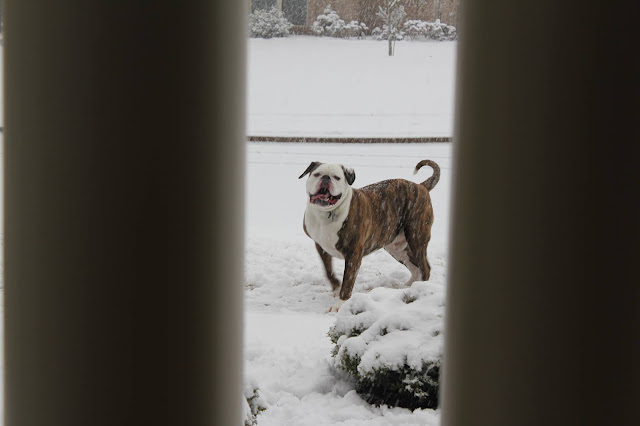 His beautiful smiling face is forever captured on a 30 x 30" gallery wrapped canvas! This painting was a challenge because of the reference I had to go from. The actual photo reference size of his face was around a 2-inch square and we wanted him larger than life. So, what happens when I get to make a pet larger than life, I use my artistic license too:) I made his eye coloring more pronounced to show the colors that you'd see in person if you stared long enough and extended his tongue a bit to really show what a happy furbaby he is. If you'd like to have a custom pet portrait of your own, feel free to contact me at stephanie@grinninglikeanidiot.com. 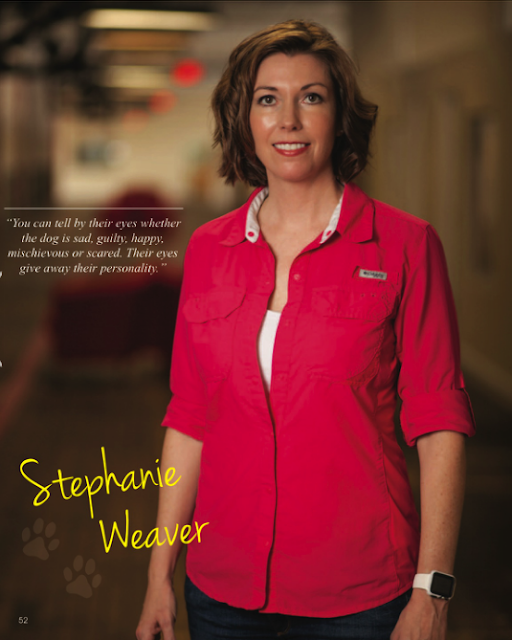 10% of all pet portraits fee goes to benefit our friends at The Greater Huntsville Humane Society.